In a world where contemporary is the norm, there stands a project that chooses, instead, to celebrate tradition. Al Seef is an exciting new project along the Dubai Creek a project we started three years ago and one that has just been revealed to the public. We were appointed as the interior designers and architectural consultants for this project responsible for the design of the overall master plan along with the design and construction supervision of the eastern section (phases two and three). The goal was to rejuvenate old Dubai to showcase an authentic Emirati experience for today’s and tomorrow’s generations. Once the master plan was in place the challenge was to design everything within it following the design brief which called for a more traditional architecture style. Our approach was for the elements to look as if they have always been there, as if time has stood still, when fishermen lived in the houses and merchants traded their wares along the banks of the Creek. In preparation, the team spent endless hours visiting the souks of the UAE and Qatar and trawling through historical data to fully understand Emirati architecture and to ensure that the finished product was one that was authentic down to the very last detail. This alone was challenging as there is no one in the team who was in Dubai in the 1960’s so we had to rely on old news clips, museum visits, old photographs and books studying, selecting and compiling a catalogue of ideas until we were completely immersed in Dubai’s history and culture. As a result we now have a really interesting narrative to tell the Al Seef story. Each house or building within the project has a story of its own, some buildings are designed to look as if they were built in 1960s with darker walls, less lighting and simple decorative elements, while others have lighter walls with much more intricate details and embellishments on the façade which indicates that they were built at a later stage when trade was good and businesses were doing well. We have discarded the smooth surfaces, aligned geometry and accurate proportions – the hallmarks of design today – in favour of decorative GRC panels, ornate cornices and elaborate balustrades incorporated with colours taken from traditional Dubai sandstone as an acknowledgement of Emirati history. But, along with the traditional, we have also considered the present and have created a few Instagram spots where visitors can stop for a photo or selfie in and around the shaded corridors and pathways. 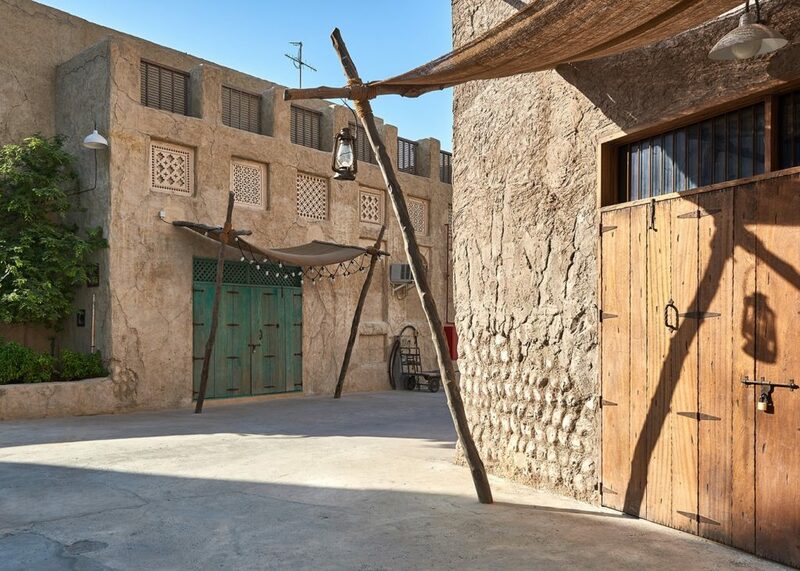 Al Seef has been about rewriting a part of history that has been lost but not forgotten, revitalising memories of old Dubai where it all started for the city. If you find yourself strolling along the Creek you would be forgiven in thinking that this was a renovation project and you will be equally surprised to learn that all the buildings you see are in fact new builds, so authentic does it look. This is a design that was born out of absence.